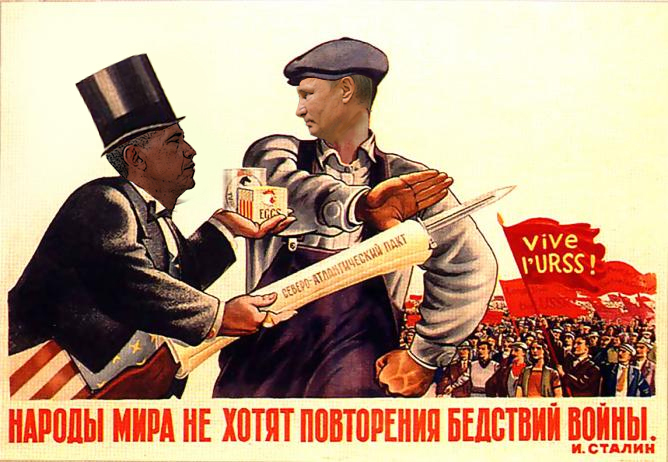 President Obama and Russian President Vladimir Putin do not like each other whatsoever. They have vastly different views of the world and have clashed many times over a number of issues -- from Russia's annexation of Crimea to the ongoing war in Syria. At the G20 Summit in China on Monday, Obama and Putin met separately for 90 minutes and discussed how they might work together to end the Syria conflict. The Obama administration has supported opposition forces in Syria, while Russia has supported the Syrian government and President Bashar al-Assad. This puts the US and Russian governments at odds in this convoluted conflict. Russia has targeted these opposition forces and contributed to the devastating humanitarian crisis in Syria, particularly in places like Aleppo. This is not to say America's bombing campaign against ISIS in Syria hasn't also had a negative impact on the civilian population, however. Long story short, this is a messy war with a number of different players involved, in which two major powers are on opposing sides and Syrian civilians have paid the biggest price. We have had some productive conversations about what a real cessation of hostilities would look like to allow us to both focus our energies on common enemies... But given the gaps of trust that exist, that's a tough negotiation. We haven't yet closed the gap. But people seem to be focusing more on a photo that was taken of Obama and Putin than the substance of what they discussed. With that said, the photo is a testament to why these two can't seem to agree on anything. 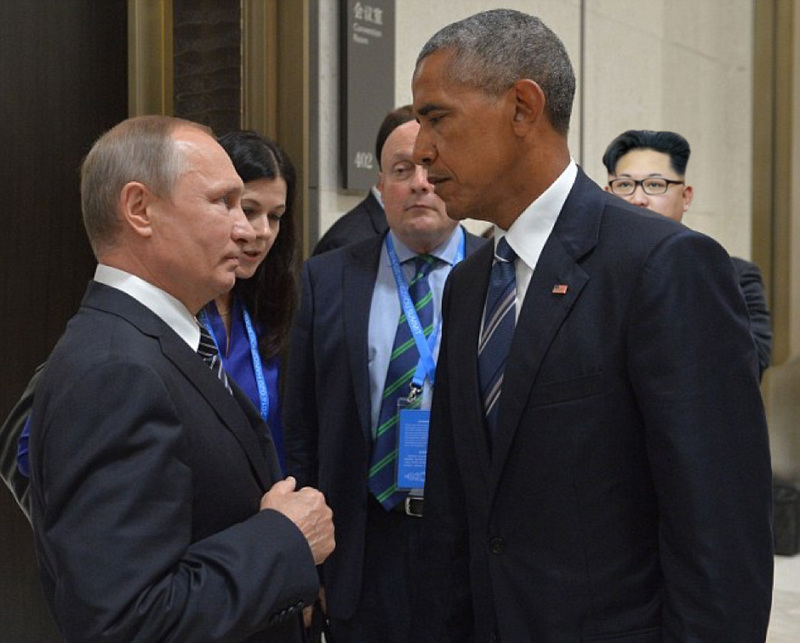 Obama gave Putin the death stare as they met before the media. Naturally, the Internet had a lot of fun with this photo. Inevitably, the death stare got photoshopped. It's amazing what we use technology for. This could be better than Rocky IV. This is getting really intimate. Sounds like a great video game! Internet, you never cease to amaze me. You can stand under my umbrella ('ella, 'ella, eh, eh, eh). When a North Korean dictator creepily photobombs you.